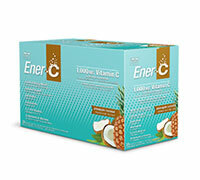 Ener-C was designed with you in mind. We have produced a delightful-tasting, effervescent vitamin drink mix that comes in a variety of natural fruit flavours for you to enjoy. 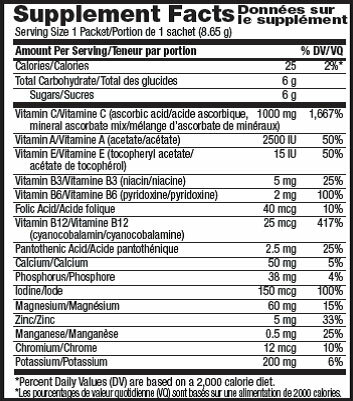 All vitamin and mineral sources have been chosen not only for their quality, but also for their ability to absorb easily in the body, ensuring that you get the greatest benefit from each and every packet of Ener-C.
Orange: Fructose, Citric Acid, Natural Orange Flavor, Sodium Bicarbonate, Orange Fruit Powder, Tapioca Maltodextrin, Malic Acid , Tartric Acid, Silicon Dioxide, Aspartic Acid, Beta Carotene, Glycine, Quercetin Dihydrate Powder, Cysteine HCl, Monk Fruit Powder.